This post is very much overdue, but like I talked about in my first Mommy + Me Art post, I wasn’t sure if doing this whole printable thingy was what I wanted to do. I turned to the people of Instagram to see if this would interest them and the people spoke! So here it is my friends, the vehicles theme birthday party I threw for my boy and the invitations and illustrations made available to you! Enjoy! 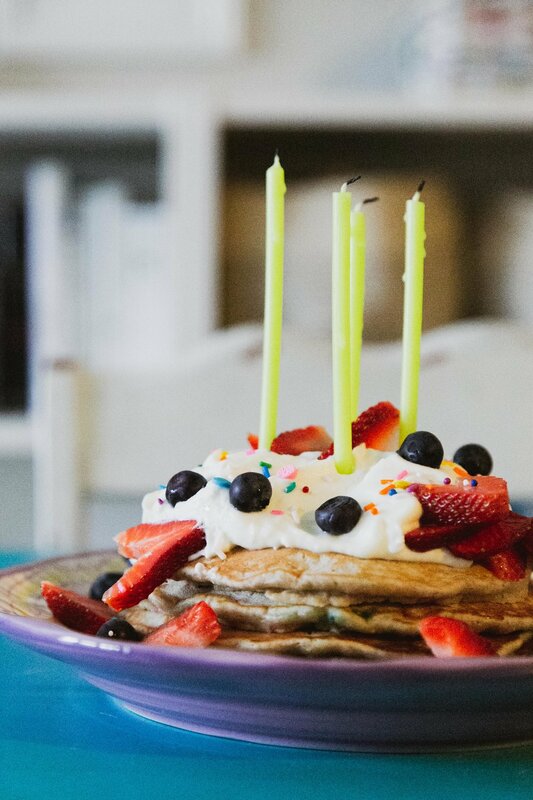 A stack of birthday pancakes for the birthday boy! I may have gotten a bit too excited and made a stack too big for him to eat. 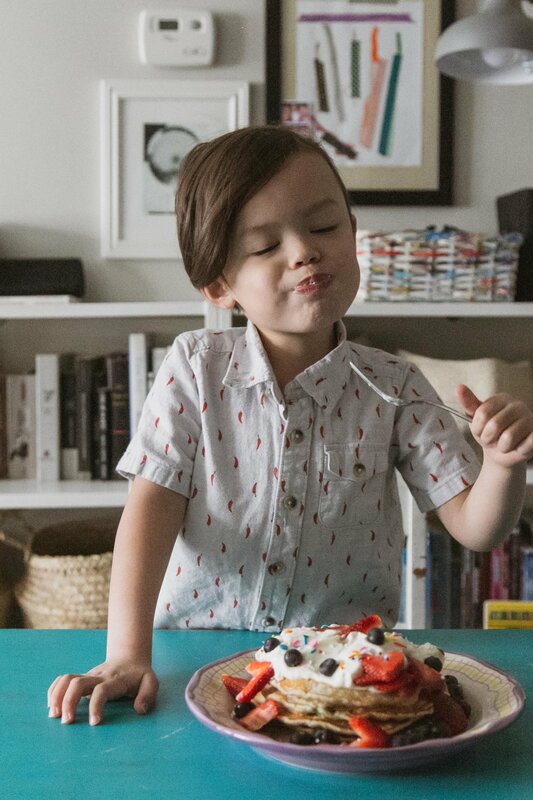 It’s like I want him to be old enough to eat a big stack of birthday pancakes, but I want him to slow down on the growing up thing. What’s a mom to do?! VEHICLES CAKE TOPPERS download here. VEHICLES COLORING PAGES download here. VEHICLES BIRTHDAY INVITATION download here. The birthday invitation is blank. You can open it in any program to put in the information you want. Vehicle Cake Toppers is intended to print on 8.5 x 11 inch paper. Vehicles Coloring Pages and Vehicles Birthday Invitation are 6 x 5 inch. Trim marks are included in the pdf. Please check your printer settings to make sure it prints at the intended size. All printables are copyright by Victoria-Riza and is not meant for resale or distribution. It is for personal use only. For Anthem’s cake, I used this funfetti cake recipe here and bought the sprinkles from Sweetapolita here. I'm Victoria-Riza. I'm an artist and this blog is where I document my creative journey as well as invite conversations on culture and social issues through my art. Join me on my art adventures! Enjoy 10% Off Orders of $69 or More, and Free Shipping On Orders of $35 or More! Promo Code CEUH. Exclusions apply.